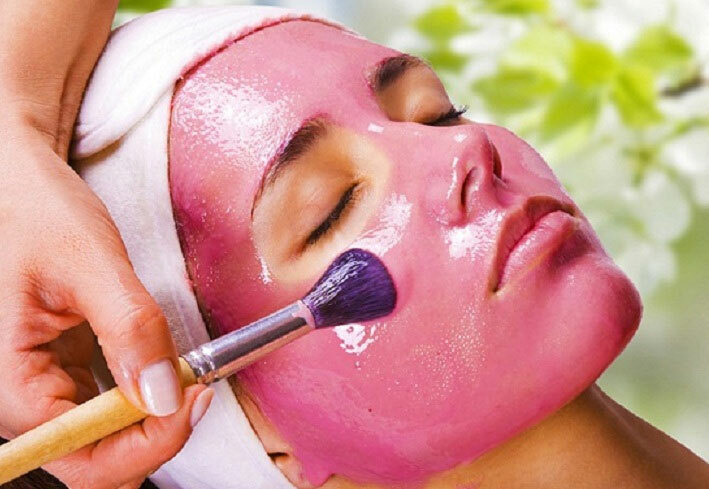 When buying from market we cannot guess whether the product will react in favorable results or not, with DIY summer skin masks such consequences are hardly negative. Steps involved in preparing in-home skin treatments are quite easy and fun activity. Before widespread application of any scrub or face mask, test a small area beforehand. This will ensure the level of sensitivity of your skin and will further protect from any possible irritation. In pros opinion, the desired results always reach to the maximum if a proper procedure is followed. To reap full benefits from the mask, properly cleaned skin is advisable. Improper cleaning of clogged pores is sometimes the core cause for all the major skin problems in summer. High rise in humidity levels evoke skin oil production therefore, resulting in soaring moisture levels. When dirt accompanies oil present on skin surface, all together, such factors become adversaries for skin. Hot water steam helpfully invades through skin pores to open up for deep skin cleansing. In summers, skin may expose to dryness and irritation. This leads to dullness and discoloration of skin. Alike winters, in summers our skin equally needs to remain hydrated. Though, some skin types produce copious oil production on the other hand, few skin types tend to dry out in minimal time. The key to healthy glow of skin is the adequate balance of moisture levels. Anti-inflammatory properties of avocado help to sooth down skin surface and provide great support to sensitive skin. One of the best from DIY summer skin masks, for avocado mask you need 2 tbsp spoon of olive oil, avocado, honey, and 1 mashed mango. Add all the elements in a bowl and mix them well. Spread this mixture onto face. Let it rest for 15-20 minutes and afterwards rinse with cool water. Olive oil is a natural hydrating element. Its light texture helps to smooth the coarse skin surfaces. Being hydrated throughout the year in every season is essential. Even after an hour to face wash shine appears on the skin tends to visibly reduce the face attraction. Skin specialists recommend astringent for summers to clear out all extra oil from the glands. Strawberry as a natural astringent works wonder when combined with yogurt. Mix ¼ cup of mashed strawberries in 3 tbsp of yogurt and 1 tbsp rice powder. Apply this mixture for 15-20 minutes and wash away with cool water. Is Organic food really better for you than genetically modified foods?